Lobster ravioli, halloumi cream, Kinkawooka mussels, clams and Kakavia broth. Experience a taste of the Greek islands without leaving Sydney at Ble Greek Kouzina Restaurant on Ramsgate Road. Passers-by are lured in by cobalt blue neon signage, which hangs overhead diners in the spacious and breezy alfresco area, while a stylish and minimalist interior offers a contemporary space styled with light timber furniture, grey scale walls, matching cloth napkins and pendent lighting. 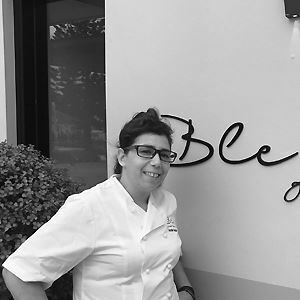 Head Chef Natalia Gaspari has created a menu which reflects an appreciation for the traditional Greek kouzina, with infused influences from her roots on the island of Kefalonia. 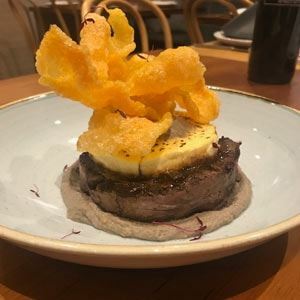 Experience modernity in dishes like eggplant moussaka, eggplant cream, xinomizithra custard and sweet potato crisp; before desserts like mountain tea lamington cake, coconut cream, almond biscotti and chamomile sorbet.